The House of Representatives Committee on Trade and Industry has approved a bill reducing the minimum paid-up capital requirement of foreign retailers to engage in business in the country. The bill amends Republic Act No. 8762, or the Retail Trade Liberalization Act of 2000, by reducing the minimum paid-up capital requirement of foreign firms engaging in retail trade business to $200,000 from $2.5 million currently. Although the move has been anticipated by foreign businesses chambers, it is frowned upon by local retailers. Philippine Retailers Association (PRA) Chairman Atty. Paul A. Santos said that the measure removes the protection of micro, small, and medium enterprises (MSMEs) from better-funded foreign counterparts. “For many Filipinos, retail entrepreneurship is the most accessible path way out of poverty. Famous Philippine brands owe a great deal of their prosperity and success today to a benevolent government policy that protected them of foreign competition,” Atty. Santos said during the hearing. The PRA asked the committee to revise the minimum threshold to $1.5 million. “We manifest that the capital requirements be increased to maintain a balance between Filipino entrepreneurs, Filipino retailers, the government and foreign investors,” said Atty. Santos. 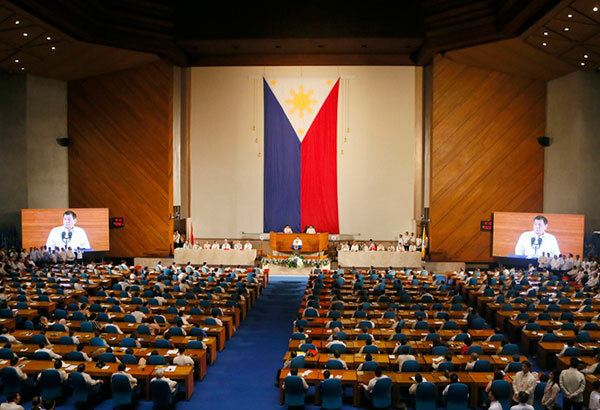 Deputy Speaker Arthur C. Yap of Bohol’s 3rd district said there is still room for negotiation to adjust the minimum paid-up capital requirement for foreign retailers as the bill moves to the plenary. “… Pag umabot ’yan sa second reading sa plenary debates, puwede pa ’yan mapalitan (That provision can still change as the bill moves towards second-reading approval in plenary). But, for now, we can see na reasonable naman ’yung $200,000,” said Cong. Yap. He said foreign businesses who will come in will not be competing against community sari-sari stores and similarly sized businesses. “In fact, maintaining regulatory entry barriers against physical foreign retailers in the form of a capital requirement will do little to insulate MSME retailers from competition with foreign online retailers, with the latter becoming more prominent as the digital market continues to develop,” she said. Ms. de Jesus added that local MSME retailers even have a competitive advantage versus foreign counterparts in terms of geographical proximity, ability to sell products in smaller volumes and extension of informal credit lines to customers. The bill is part of a broader government effort to further liberalize the investment environment in a bid to boost economic growth and give more people jobs in order to lift them out of poverty. President Rodrigo R. Duterte issued Memorandum Order No. 16 in 2017, which ordered state agencies to “exert utmost efforts” in reducing foreign investment restrictions.